This master class—hosted and coordinated by bikablo—will focus on generative scribing, a visual practice that considers the energetic field surrounding the act of graphic recording. Generative scribes attend to an emerging future, while learning to “let go” of what no longer serves a current state, in order to “let come” an essential, new reality. This workshop will intentionally challenge a prevalent mental model that graphics support groups mainly by reflecting content; participants will stretch to understand themselves as dynamic, interdependent parts of the very systems for which they draw. … you want to broaden your perspective on the possibilities of visualization in the facilitation and consulting business. … you would like to learn advanced and sophisticated possibilities of Scribing/Graphic Recording and develop your own professional stance as a scribe in a change process. … you have gained experience with visualization, are familiar with the basic visualization vocabulary, and feel capable of independently applying what you have already learned in the context of this training module. (If you are not sure if your previous experience is right for this course, then send a few examples of your visualization pieces to the bikablo team). Documentation: Following the training, bikablo will provide digital photo documentation with all the input from the trainers and the results of the group. Handout: You will also receive a digital handout with in-depth material on the training topic. 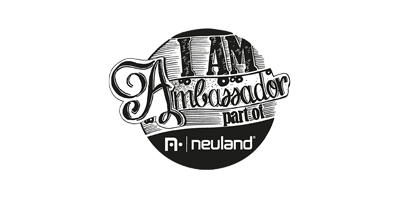 Neuland discount: Our partner Neuland grantees participants of bikablo training sessions in Germany a discount on products from their entire range (excl. books; cannot be used in combination with other offers or discounts). Price: €1,800 (+German VAT), including material costs, food and beverage (lunch and breaks). Location: Alanus Werkhaus, Johannishof, 53347 Elfter near Bonn (30 minutes from Cologne/Bonn Airport, 90 minutes from Frankfurt Airport). It is possible to room at the on-site guest house. We are planning an informal gathering Sunday evening. More information to come once you have registered. Rights of use: The training concept, methods, and contents are subject to copyright law. You can find terms and conditions here.